Many members of the Duke Community watch a performance art piece entitlled reVERSE–gesture–reVIEWed by Thomas F. DeFrantz, professor and chair of Duke’s African and African American Studies Department and SLIPPAGE. 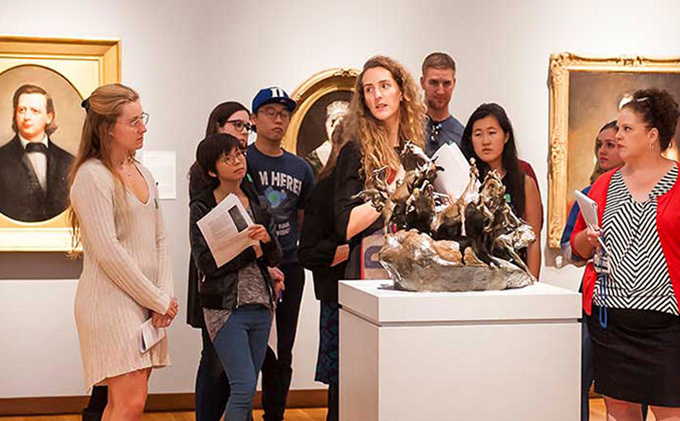 Bill Bamberger (third from left) discusses the exhibition with Duke students (from left) Jessica Chen (T’20), Savannah Chauvet (T’18), Janie Booth (T’19), and Brittany Halberstadt (T’19), with Nasher Museum Assistant Curator Molly Boarati. Photo by J Caldwell. Regular admission to the Nasher Museum is free to Duke students, faculty and staff, and Duke Alumni Association Members (with a valid Duke ID). Include the Nasher Museum in your Duke weekend. 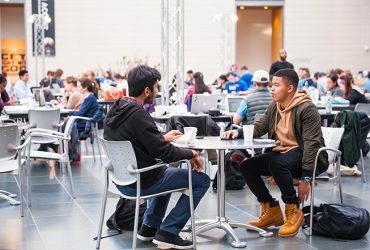 Visit the calendar for exhibition opening events and a lively schedule of programs, including free Family Days, performing arts events, lectures, films and social gatherings. Around the fifth anniversary of the Nasher, discussion emerged of the museum as a beacon. By definition a sort of blaring thing that distinguishes itself from its surroundings, a beacon calls attention to itself, but more importantly serves to herald something else. … At the Nasher, [contemporary art] seemed tangible, available and alive. More than any hijinks or anecdote, what stands out to me is a spirit of openness and kindness among the people who make, inhabit and exhibit at the Nasher, who made a world of art attainable at Duke, in Durham and far beyond. Led by local experts and artists, our new 30-minute lunchtime gallery tours focus on Solidary & Solitary. Free with admission. Visit our calendar for exhibition opening events and a lively schedule of programs, including free Family Days, performing arts events, lectures, films and social gatherings. Individuals, or groups of 10 or fewer people, can take guided public tours of the Nasher Museum’s exhibitions. Public tours are offered most Thursdays at 6 PM and Sundays at 2 PM. Tours are free of charge, except for ticketed exhibitions. Ticketed exhibition tours have a small additional fee to the ticket price. Tours last approximately one hour. No reservations necessary. Groups of 11 or more can arrange private guided tours at any time during open museum hours. Please contact Liz Peters at elizabeth.a.peters@duke.edu or at 919-684-1169 for prices and arrangements. 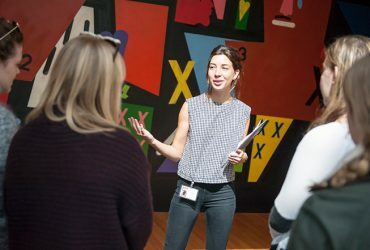 Duke student and Nasher MUSE member leads a tour of an exhibition for Look & Lunch, a Nasher MUSE Sunday brunch and gallery tour event. 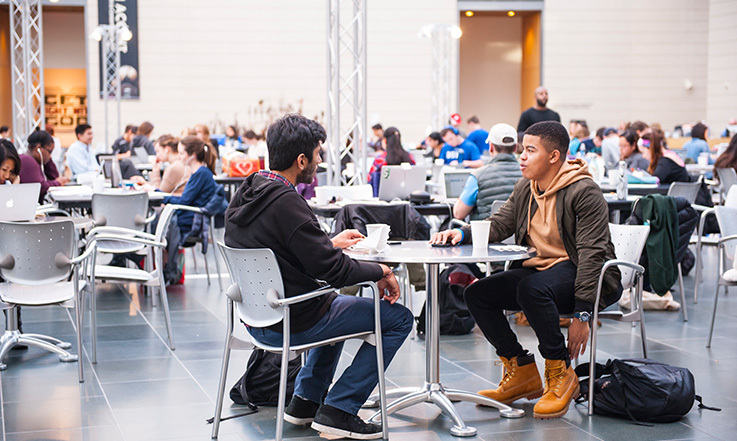 Duke students studying at the Duke Student Study Hall event, which is hosted at the museum and arranged by Nasher MUSE members. 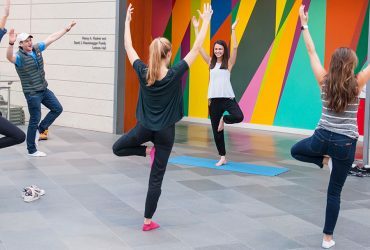 A Nasher intern leads yoga in the Great Hall for other students. 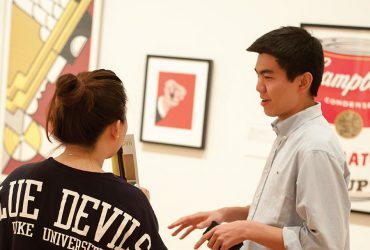 Students engaged in conversation in the Art of the United States Gallery. 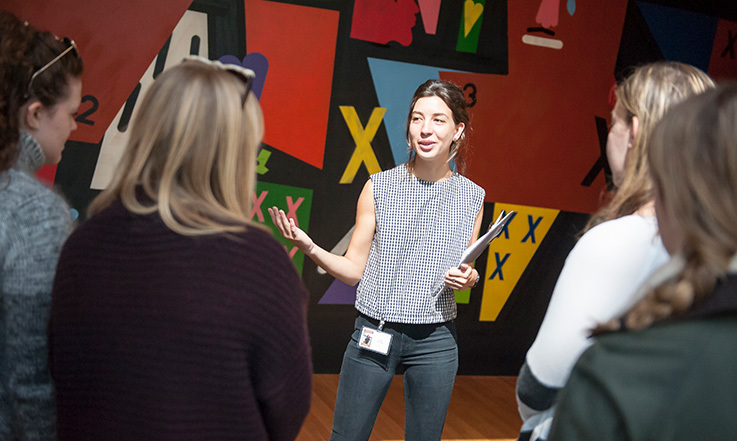 Duke students talking at the Duke Student Study Hall event, which is hosted at the museum and arranged by Nasher MUSE members. 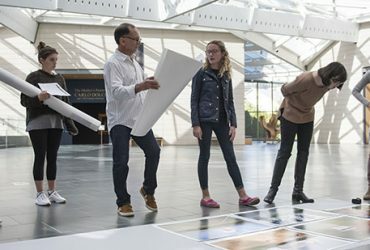 Bill Bamberger (third from left) stands in the Nasher Museum's Great Hall and discusses the exhibition with Duke students (from left) Jessica Chen (T’20), Savannah Chauvet (T’18), Janie Booth (T’19), and Brittany Halberstadt (T’19), with Nasher Museum Assistant Curator Molly Boarati. Photo by J Caldwell. 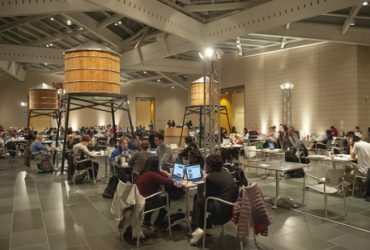 Since its opening in 2005, the Nasher Museum of Art has become the milestone for Duke’s recent Arts Initiative. 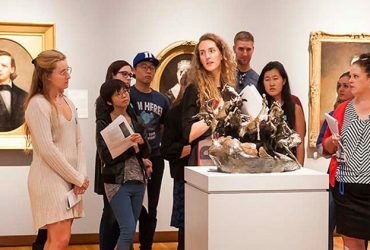 The museum’s outstanding success has generated excitement that has attracted donors among alumni and the local community, who have not only supported the museum’s many programs, but also fueled a university-wide arts focus. 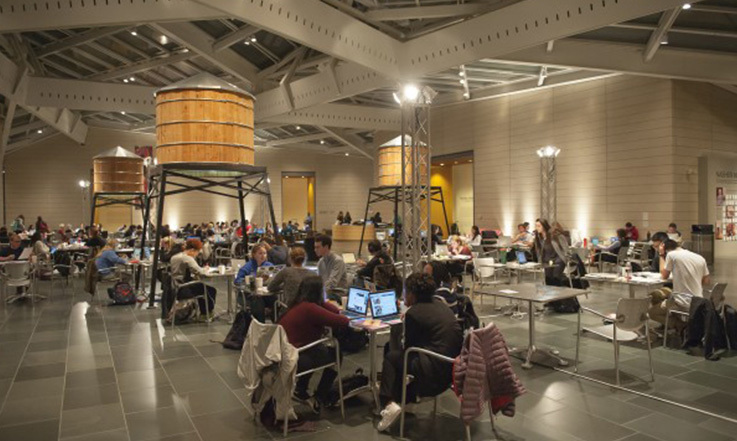 Students now havemany more opportunities to experience the arts at Duke than ever before.